SMEs are considered the backbone of the Latin American economic region as they represent an overwhelming majority of private enterprises in the region and account for 99% of businesses and employ 67% of employees. One of the elements in which SMEs need assistance is their involvement in the IT-enabled services (ITES) both for greater efficiency and optimization of the economic data. Cloud computing as a modern concept has commercialized the use of ITES along with sharing data at a wider scale. Tacit knowledge in the form of data can be easily shared at large scale with the help of cloud computing. While MNCs have started using cloud computing to benefit the organizations, SMEs are far behind in truly understanding the relevance of cloud computing in benefitting business operations. 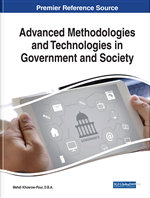 The chapter analyzes the existing opportunities and then formulates relevant public policies for providing cloud computing services to the SMEs of Latin America. SMEs are an integral part of the Latin American Economic Region as they represent 99% of all the businesses and account for around 67% employment (LACFORUM, 2013). Thus, SMEs are the backbone of the Latin American economic region: a region characterised by high aspirations of the people towards trade and development. Since times immemorial governments are trying to boost the performance of SMEs due to their power of generating domestic employment. In the present world of technologically advanced operations, there is huge potential in SMEs to contribute towards the development of the region. Challenges are posed by the MNCs in the same region or the ones entering the region. MNCs are characterised by the use and employment of technologically sophisticated method of manufacturing and operations. Apart from this MNCs are also interested in R & D activities and widely invest in R & D department for improving efficiency in order to gain economies of scale. They benefit from the use of IT enabled services to increase the efficiency of the business. For managing knowledge, MNCs widely use cloud computing services provided by specialised companies. Cloud computing has been used as a tool by which ITES can be utilised by firms and it can help in better economical and operational decision making. SMEs of the Latin American economic region too aim for increasing efficiency and optimising the use of ITES. Cloud computing will empower the SMEs of Latin America to compete with the MNCs. Cloud computing as a modern concept under felicitation of business by adding value to the business and operations achieving cost efficiency in the business. If SMEs of the Latin American economic region are provided cloud computing services through policy initiatives, it would not only add value to the SMEs businesses but also will increase the sustainability of the economic region. Cloud Computing is an opportunity to utilise shared resources for optimising business operations in the technologically driven global economic environment. Typically, cloud computing services include access to databases for the businesses, access to software that is important for decision making and contribution to knowledge and information sharing. Cloud Computing aims to reduce the amount of complexity, minimise costs, and enhance organisational agility (Ghaffari et al, 2014). Cloud Computing decreases the obstacles to conducting information process intensive activities. Indeed, people do not need to maintain their own technology infrastructure as they transfer the burden of system management and data protection to the cloud computing service provider (Jeager et al, 2008). Thus, the study will focus on the issues related to the formulation of public policies for providing cloud computing services for SMEs of Latin America.